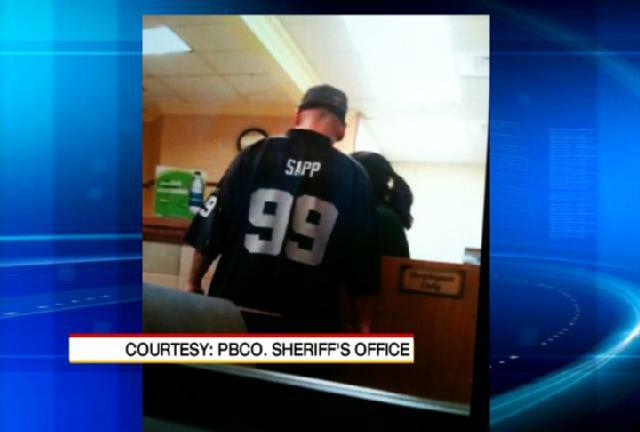 In the wild and weird story of the day, a man in Palm Beach went in and robbed a Subway wearing a Warren Sapp jersey. A Raiders Warren Sapp jersey that is. 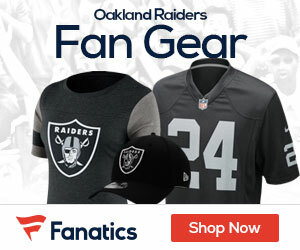 Palm Beach County Sheriff’s Office deputies are searching for a man who wore an Oakland Raiders football jersey when he tried to rob a Subway in Boca Raton. The attempted robbery occurred June 14 at the restaurant on Powerline Road. Surveillance photographs released by the sheriff’s office Monday showed that the man was wearing a No. 99 Oakland Raiders jersey — the same number worn by former defensive tackle Warren Sapp. Deputies said the man claimed to have a gun, but the weapon was never seen. It was probably Warren Sapp. He stole from Al Davis with that game he brought to Oakland. Then he talked trash about Oakland after he retired. My guess is he needed money for more cheeseburgers.